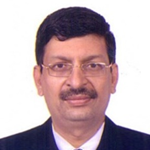 Mr. Kishore Alva is currently holding the position of President and Executive Director, Adani - Udupi Power Corporation Ltd., a subsidiary of Adani Power Limited. As a Chief of Corporate Affairs for the State of Karnataka, he is heading the Project Development, Corporate Affairs and CSR team for Adani Udupi Power in the State of Karnataka. He has exhibited multi-talent in Corporate Planning, Corporate Affairs, Business Expansion, Handling Bureaucracy at State and National level, Political fraternity and the Media. Mr. Kishore Alva is instrumental in establishing UPCL project at Udupi i.e., 1200 MW from the beginning after a historic struggle for nearly two decades. Presently UPCL supplies power to the whole power starved State of Karnataka. Bangalore itself gets maximum share i.e., 45% of the total power generated and the remaining 55% is being supplied to other ESCOMs like Hubli, Gulbarga, Mangalore and Mysore. Mr. Kishore Alva played a vital role in bringing Adani Group in the Invest Karnataka Summit – 2016, which has declared a lead investment of Rs. 21,000 crores in the State of Karnataka, including Rs. 11,500/- crores for UPCL’s project expansion by 1,600 MW; Rs. 7,000/- crores of Solar Power; Rs. 500 crores for additional jetty in Mangalore Port. In his present role, Mr. Kishore Alva has been assigned with the responsibility of expansion of UPCL project for 1,600 MW. Past Chairman for the Special Committee of BCIC formed for Government / Public Affairs. Interface with Policy Makers from State and Central Governments, Foreign Dignitaries / Embassies / President of USIBC (US India Business Council) during last 6 years. Presently working as Joint President – Project Development and Corporate Affairs for Adani Group for Karnataka. Senior Advisor – Planning / Business Development, New Delhi. Senior Advisor - Public Affairs/ Business Development. He is an alumnus from the well-known National Public School, Bangalore. Has a Bachelor's Degree from the prestigious St. Aloysius college, Mangalore and a Master's Degree from the reputed Mangalore University. Formerly, President of Students Council of St. Aloysius College, Mangalore University; President of Post Graduate Students Council, Mangalore University, Mangalagangotri and President of All College Students Union for Mangalore / Dakshina Kannada & Coorg Districts. Presently he is the Member of Board of Studies in English for St. Aloysius College, Mangalore. Member of Internal Quality Assurance Cell for Mangalore University. Mr. Devesh Agarwal, Senior Vice President-BCIC & Jt. 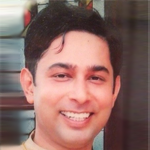 Managing Director Jesons Technologies Pvt. Ltd. Managing Director at Infomart (India) Pvt. Ltd., whose Power Over Ethernet products are made in India and have been used on all seven continents including Antarctica. Represented BCIC at Customs Advisory Committee, Government of India; Airport Users Consultative Committee, Bengaluru International Airport; Special invitee and BCIC representative to High Level Committee on Airport Connectivity, Government of Karnataka; City Connect. Passionate about aviation. Editor of BangaloreAviation.com which has been ranked first in Indian aviation websites; Ranked #6 in Mashable’s global list of aviation experts. Authored a book titled “Wines Demystified”. Member of the Rotary Club of Bangalore. over 32 years of experience in Manufacturing and Production Engineering, HR and Administration. Life Member and Past Chairman: Quality Circle Forum of India, Bangalore. Smt. Pankajam Sridevi is the Managing Director of ANZ Bengaluru Hub, leading a team of more than 7,000 staff in Technology and Operations. Smt. 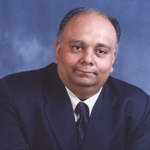 Pankajam joined ANZ in 2007 as Head of Quality. She subsequently took over as Head of Institutional Operations (IO) Offshore Hubs and Executive for Global Reconciliation and Sanctions and Anti Money Laundering (AML) in ANZ. In this role, she was responsible for lending strategic direction to elevate the profile of IO across the bank by building a robust culture of customer service, cost to serve, talent build and risk management. In her current role as Managing Director of ANZ Bengaluru Hub, she has led the Technology and Operations team in supporting the key global initiatives for the bank by building their core capabilities. Smt. Pankajam has worked with the leadership team to embrace end-to-end process improvements through a culture change to get improved customer service, capability build, compliance and cost reduction. Smt. Pankajam has also been spearheading the automation initiative in the delivery centres of ANZ. She is instrumental in supporting the spread of Robotics Process Automation (RPA) across multiple functional groups and countries. Smt. Pankajam has worked in reputed companies and has over 28 years of rich experience in diverse segments ranging from manufacturing, technology (including design of integrated process automation/systems, technology service management and software development), and IT-enabled services. Smt. Pankajam holds an engineering degree from NIT, Kozhikode. 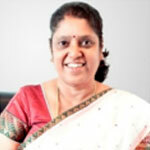 Prior to ANZ, she has spent most of her career with Wipro and ABB across technology, operations and engineering.